​Shifting baselines make forecasting more challenging than ever: If normal keeps changing, can anyone confidently predict a return to normalcy? But the U.S. economy is massive—and nowhere near as volatile as headlines might suggest. Normalcy. The word wasn’t invented by President Warren G. Harding, as some people claim.1 But it caught on in a country anxious to settle down after the chaos of the Great War. Today, everybody is anxious to finally move on from the experience of the financial crisis and the subsequent slow recovery, and to see the economy return to normal. But that creates a question: What is normal? Financial markets are struggling to determine what normal interest rates should be. If normal was the world before the Great Recession, the 10-year Treasury yield should be about 130 basis points above the Fed funds rate, since that was the average from 1985 to 2007.5 In fact, economists in the Wall Street Journal Survey are forecasting a much lower spread. Is this a new normal? Builders, real estate agents, and home buyers are struggling to understand what a normal housing market looks like. How many new houses can the country absorb? How difficult is it to get a mortgage (and should it be so hard)? Do younger people really prefer living in dense urban areas, or is that just a result of their difficulties in finding affordable single-family houses and financing for those houses? The current tax and fiscal policy further complicates forecasting a return to normal. Congress passed a significant fiscal stimulus that will partially reverse by 2020, creating a potential drag on growth in that year and the next.6 Is normal the economy under the stimulus, after the stimulus goes away ... or some theoretical idea that will always remain out of reach? The baseline (55 percent probability): Consumer spending continues to grow. A pickup in foreign growth helps to tamp down the dollar and increase demand for US exports, adding to demand. Fiscal stimulus from the tax cut bill and the budget agreement pushes growth up to close to 3.0 percent in 2018 and above 2.5 percent in 2019. With the economy near full employment, the faster GDP growth creates inflationary pressures. The Fed responds with an aggressive interest-rate policy, and long-term rates rise quickly as alternative assets (abroad) become more appealing. A small increase in trade restrictions adds to business costs in the medium term, but this is offset by lower regulatory costs. As the impact of stimulus fades and the economy feels the effect of higher interest rates, growth slows below potential in 2020 and ’21. Recession (15 percent): Dubious policy and financial market decisions in the United States, Europe, and China trigger a global financial crisis. The Fed and the European Central Bank act to ease conditions, and the financial system recovers relatively rapidly. GDP falls in the fourth quarter of 2018 and first two quarters of 2019, and then recovers. Slower growth (20 percent): Business tax cuts induce little investment spending, while households save their tax cuts. Meanwhile, the administration places significant restrictions on US imports, raising costs and disrupting supply chains. Businesses hold back on investments to restructure their supply chains because of uncertainty about future policy. The higher spending authorization from the budget bill translates only slowly into additional federal outlays, reducing the budget bill’s impact on the economy. GDP growth falls to less than 1.5 percent over the forecast period, while the unemployment rate rises to about 6.0 percent. Productivity bonanza (10 percent): Technological advances in manufacturing begin to lower corporate costs, as deregulation improves business confidence. Improved infrastructure boosts demand in the short run and, in the long run, capacity and the productivity of private capital. The economy grows 3.5 percent in 2018 and 2019, and growth stays above 2.0 percent between 2020 and 2022, while inflation remains subdued. The household sector has provided an underpinning of steady growth for the US economy over the past few years. Even while business investment was weak, exports faced substantial headwinds, and housing stalled, consumer spending grew steadily. But that’s unsurprising, since job growth has been quite strong. Even with relatively low wage growth, those jobs have helped put money in consumers’ pockets, enabling households to continue to increase their spending. The continued steady (if modest) growth in house prices has helped, too, since houses are most households’ main form of wealth. For all the daily speculation about how political developments might affect consumer choices when it comes to spending decisions, political noise seems to be just that—in the background—to consumers who seem focused on their own situations. As long as job growth holds up and house prices keep rising, consumer spending should remain strong. And the tax cut, while modest for most consumers, will likely bolster their confidence that they can safely spend, notwithstanding a dip in 2018 Q1.7 More importantly, the tax bill’s fiscal stimulus may tighten the job market even further. If wages begin to rise, consumer spending is likely to get a further boost. The medium term presents a different picture. Many American consumers spent the 1990s and ’00s trying to maintain spending even as incomes stagnated. But now they are wiser (and older, which is another challenge, as many baby boomers face imminent retirement with inadequate savings8). That may constrain spending and require higher savings in the future. That could be a shock, since a key feature of the current consumer boom is a decline in the savings rate (from an average of 6.1 percent in 2015 to just 2.6 percent at the end of 2017, although the savings rate ticked up in 2018 Q1). Although American households seem to face fewer obstacles in their pursuit of the “good life” than just a few years ago, growing income inequality poses a significant challenge for the sector’s long-run health. For instance, low unemployment hasn’t alleviated many people’s economic insecurity: Four in 10 adults would be able to cover an unexpected $400 expense only by borrowing money or selling something.9 For more about inequality, see Income inequality in the United States: What do we know and what does it mean?,10 Deloitte’s most recent examination of the issue. Every year, thousands of young Americans abandon the nest and start their own households. But more than usual stayed put after the recession: The number of households didn’t grow nearly enough to account for all the newly minted young adults. We expect those young adults would prefer to live on their own and create new households; as the economy continues to recover, they will likely do exactly that—as previous generations have. This should mean some positive fundamentals for housing construction in the short run. Since 2008, the United States has been building fewer new housing units than the population would normally require; in fact, housing construction was hit so hard that the oversupply turned into an undersupply. But the hole is shallower than one might think with several factors offsetting each other. Household size has stabilized after falling for several years. If it starts falling again—something to be expected as the population ages—the demand for housing would rise. The vacancy rate is still a bit higher than the historical norm, so there is some room for demand to be absorbed by filling vacant housing units. Our best guess, based on a model of the housing market,11 is that there is room for a short-term boom in housing construction, to levels of perhaps 1.35 million units per year. A couple of years of housing starts at this level would fill any pent-up demand, leaving only the need for perhaps 1.1 million units, the number we estimate would meet demand in the medium term. This means that our forecast includes a small boom in the housing market, followed by several years of slowly declining construction. For the economy as a whole, that is not a major problem—housing remains a smaller share of GDP than it reached during the housing boom before the Great Recession. The key question for business investment in the next year or so is the impact of the tax reform bill, which contained four main components that could affect business investment at the aggregate level. Congress cut the tax rate for businesses from 35 percent to 21 percent but eliminated a number of corporate tax breaks. Some companies will benefit more from the lower tax rates; others that depended on specific tax deductions may find their cost of capital to be higher than before the bill passed. The bill allows businesses to bring back earnings from foreign operations at lower tax rates (repatriation), which is unlikely to have a large impact on business spending—after all, if companies needed cash, they could have easily borrowed it, at historically low rates. In other words, the geographical location of the assets on the balance sheet is unlikely to drive corporate decision-making. The bill could increase corporate cash flow because the offsetting payments (from taxing repatriation of earnings and reducing corporate deductions) are less than the impact of lowering the tax rate. The tax reform bill essentially leaves more cash on corporate balance sheets, which may induce additional investment spending—or more stock buybacks and/or increased dividends. The impact of the tax reform may be less than past experience suggests, however. Taxes affect investment decisions through the cost of capital, which also depends on interest rates and the depreciation rate. But the cost of capital has been at historic lows over the past decade, and many businesses have remained reluctant to take advantage to raise investment. So cutting the cost of capital further may have at best a modest impact. Our forecast assumes that additional investment spending adds several tenths of a percentage point to growth in 2018 and ’19. One industry in particular—energy—is investing heavily right now. Relatively high oil prices have convinced energy producers to put more drilling rigs to work, with follow-up demand for all the paraphernalia of today’s high-tech energy exploration business. Total business investment may register some impressive numbers because of this—at least until the price of oil crashes once again. Recent events appear to be placing this global manufacturing system at risk. The United Kingdom’s increasingly tenuous post-Brexit position in the European manufacturing ecosystem, along with the suggestion that the United States might cancel or renegotiate its position in the North American Free Trade Agreement,15 may slow the growth of this system or even cause it to unwind. The US trade negotiations with China also threaten the system, as American companies may have to quickly reconfigure their relationships with Chinese suppliers. A significant change in border-crossing costs—as would occur if the United States withdrew from NAFTA—could potentially reduce the value of capital investment put in place to take advantage of global goods flows. Essentially, the global capital stock could depreciate more quickly than our normal measures would suggest. In practical terms, some US plants and equipment could go idle without the ability to access foreign intermediate products. The current account is determined by global financial flows, not trade costs.16 Any potential reduction in the current account deficit is likely to be largely offset by a reduction in American competitiveness through higher costs in the United States, lower costs abroad, and a higher dollar. All four scenarios of our forecast assume that the direct impact of trade policy on the current account deficit is nil. Markets—and other business decision-makers—are still assimilating the remarkable government policy changes that occurred around the end of 2017 and beginning of 2018. First, Congress passed a comprehensive tax reform package, including a substantial tax cut. Second, Congress agreed to a budget proposal for the next two years, removing uncertainty about funding the government through FY 2019 (which ends in September 2019) and the debt ceiling (which was raised until March 1, 2019).17 These acts seem to substantially reduce the near-term risk of a financial crisis related to a US government shutdown or inability to borrow to meet current financing needs. Prospects for an infrastructure spending package are becoming less likely, even though the successful passage of the tax and budget legislation suggests that—should congressional leadership prioritize infrastructure—there may still be a window of opportunity for some type of bill.19 Our baseline assumes no infrastructure plan,20 while the productivity bonanza scenario assumes some additional government spending (as well as additional productivity from these investments in the medium and long run). After years of belt-tightening, many state and local governments are no longer actively cutting spending. However, many state budgets remain constrained by questions around the effects of new federal tax policy21 and the need to meet large unfunded pension obligations,22 so state and local spending growth will likely remain low over this forecast’s five-year horizon. Pressure is building for increased spending in education, as evidenced by the recent public teacher protests in several states.23 With education costs accounting for about a third of all state and local spending, a significant upturn in this category could create some additional stimulus—or require an increase in state and local taxes. If the American economy is to effectively produce more goods and services, it will need more workers, and many potential employees remain out of the labor force, having left in 2009, when the labor market was challenging. But they are returning. The labor force participation rate for prime-age workers has been rising since the middle of 2015. At 73.5 percent (in March), it’s still a couple of percentage points below the level of the mid-2000s.24 But that may mean that there are more workers who can be enticed back into the labor market as conditions improve, and our baseline forecast reflects that possibility. Meanwhile, the labor force participation rate for over-65s has flattened out. It’s still much higher than the historical average—and it is certainly possible that, with better labor market conditions, more over-65s can be enticed back into the labor force as well. But a great many people are still on the sidelines and have been out of steady work for years—long enough that their basic work skills may be eroding.25 Are those people still employable? So far, the answer has been “yes,” as job growth continues to be strong without pushing up wages. Deloitte’s forecast team remains optimistic that improvements in the labor market will prove increasingly attractive to potential workers, and labor force participation is likely to continue to improve accordingly. Despite this, demographics are slowing the growth of the population in prime labor force age. As boomers age, lagging demographic growth will help slow the potential growth of the economy. That’s why we foresee trend growth just a bit above 1.5 percent by 2021: Even with an optimistic view about productivity, we expect that slow labor force growth will eventually be felt in lower economic growth. Significant immigration restrictions and/or deportation might have a marginal impact on the labor force. According to the Pew Research Center, undocumented immigrants make up about 5.0 percent of the total American labor force.26 Removal of all such workers would clearly have a significant impact on the labor force and on the economy—but such a dramatic, disruptive change is unlikely to happen. Any mass removal of undocumented workers could create labor shortages in certain industries, such as agriculture, in which some 17 percent of workers are unauthorized,27 and construction, in which an estimated 13 percent of workers are unauthorized.28 But it would likely have little significant impact at the aggregate level. The forecast sees both long- and short-term interest rates headed up—maybe not this week, or this month, but sometime in the future. Fed officials are clearly concerned about the possibility of the economy overheating: The January Federal Open Market Committee minutes noted that “participants…anticipated that the rate of economic growth in 2018 would exceed their estimates of its sustainable longer-run pace.” This was before Congress passed the large spending stimulus in February. Any signs of incipient acceleration in inflation will likely elicit a strong response by the Fed. We expect the Fed to continue to hike short-term interest rates at every second FOMC meeting for the next two years, and to continue to let its inventory of short-term assets shrink at a slow rate. Our estimate of the Fed’s view of the “neutral rate”—the rate that is consistent with full employment and stable inflation—stands at 3.2 percent. However, some Fed officials are discussing a lower “neutral rate.” FOMC members’ central estimate for the longer-run value of the Fed funds rate is, in fact, 2.8 to 3.0 percent,29 so our forecast is a little higher than the Fed’s. As the economy approaches full employment and the possibility of higher inflation increases, long-term interest rates will rise as well—and perhaps even rise faster. The improvement in foreign economic conditions will play an important role as well. The continuing European recovery, in particular, could draw investors away from the United States and toward higher returns in Europe. (Provided, of course, that the Italian political situation does not create a financial crisis in the eurozone.30) That’s not necessarily a bad thing, as slow European growth has been a significant challenge for the global economy, as well as for US exports. But the European recovery will help to hasten the return of long-term interest rates to a more “normal” rate. Many forecasters believe that this “normal” rate will be around 3.5 percent. At a Fed funds rate of around 3.0 percent, that would suggest an equilibrium value of the spread between the Fed funds rate and the 10-year note yield of just half a percent. That’s historically very low. The average spread over the postwar period has been about 1.0 percent, and that includes the time during recessions when the spread shrinks to almost nothing or even goes negative. The normal spread is therefore certainly above 1.0 percentage point, implying that a 3.0 percent fund rate would be consistent with a 10-year Treasury yield over 4.0 percent. Between 2002 and 2006, the spread averaged almost 2.0 percent. If the spread moves that high, long-term rates could easily hit 5.0 percent or more. It’s been a long time since inflation has posed a problem for American policymakers. Could inflation break out as the economy reaches full employment? Economists are increasingly wondering about this, as it becomes evident that something is amiss in the standard inflation models. These models posit that, since labor accounts for about 70 percent of business costs, the state of the labor market should drive overall inflation. US labor markets appear to be tightening—but labor costs remain fully under control. As long as businesses don’t face increasing costs, it’s hard to see what would drive a sustained rise in goods and services prices. But it’s also quite possible that the economy simply hasn’t hit full employment. Despite unemployment dipping below 4.0 percent, the labor force participation rate for prime-age workers remains about two points below the rate before the financial crisis. Two percent of the prime working-age population suggests that about 4 million more people could be enticed into the labor force under the right conditions. Whether those people are really available is unclear, and economists are debating the issue fiercely.31 The combination of low labor-cost growth and continued high employment growth suggests that people are indeed being enticed back into the labor market. At some point, however, the combination of the tax cut and spending increase could create some shortages in both labor and product markets and, as a result, some inflation. A return to 1970s-style inflation is about as likely as a return to bell-bottom jeans. But it would not be surprising in those circumstances to see the core CPI rise to above 2.5 percent. Our forecast expects timely Fed action to prevent inflation from rising too much, but the price (of course) is higher interest rates. Higher inflation rates are now a significant risk because of the size of the stimulus being applied to the economy this year. 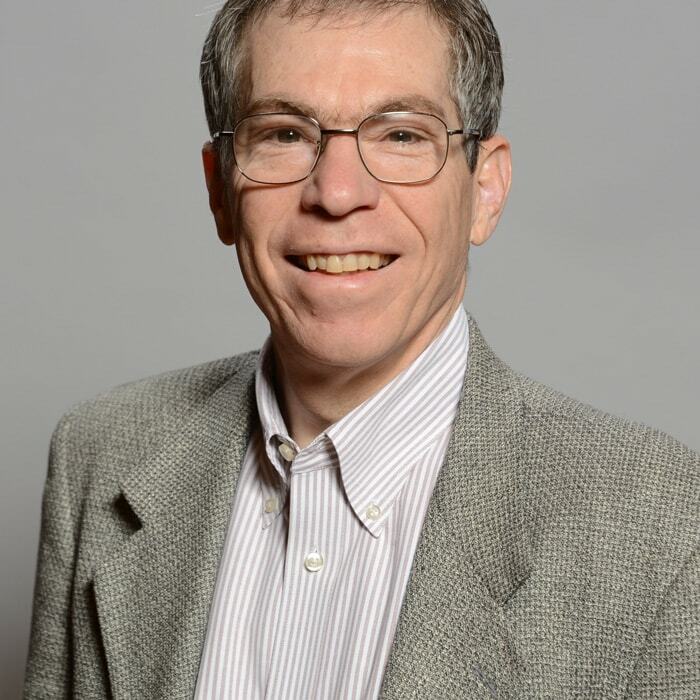 Dr. Daniel Bachman is a senior manager for US macroeconomics with Deloitte Services LP, based in Arlington, Virginia. 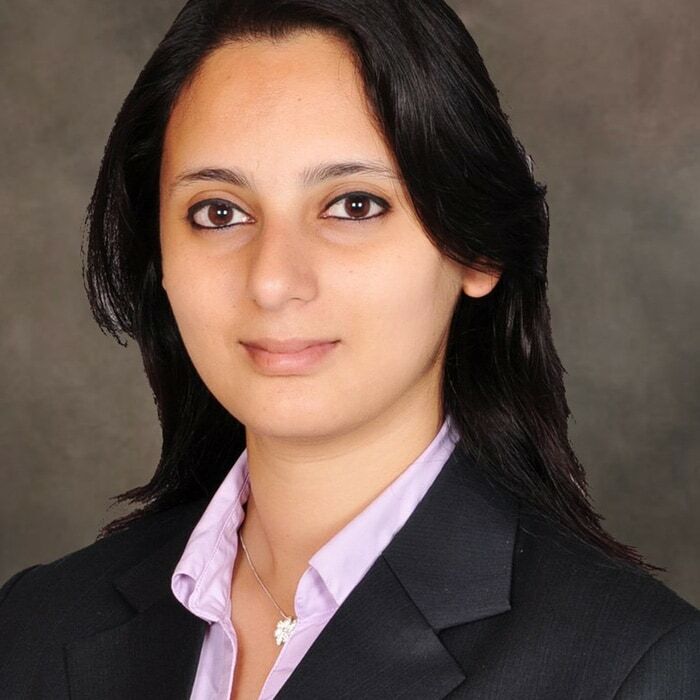 Rumki Majumdar is a macroeconomist and a manager with Deloitte Services LP, based in Bengaluru, India.